South Fork Kern River / Golden Trout Wilderness / Olancha Peak / Inyo NF/ Sequoia NF This high elevation, sagebrush meadow can be deep in snow several months of the year, so it can be inaccessible during winter months. Set at 8000' elevation, the night temperatures can get chilly even in the summer. There are no services, nor facilities ANYWHERE near here, so plan accordingly. Drive across the Kern River! The milder south fork is usually low enough that there are many spots to 'forge the river' with your high clearance vehicle. Be aware of surroundings & considerate of the environment. DO NOT DRIVE FAST THRU RIVER. Do not make mud ruts. A mellow, easy approach will help with erosion control, won't frighten wildlife & fishermen nearby might smile & wave. 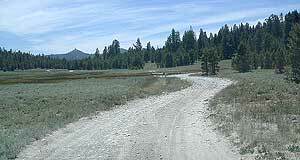 Many dirt roads to explore & plenty of trailheads for backpackers. 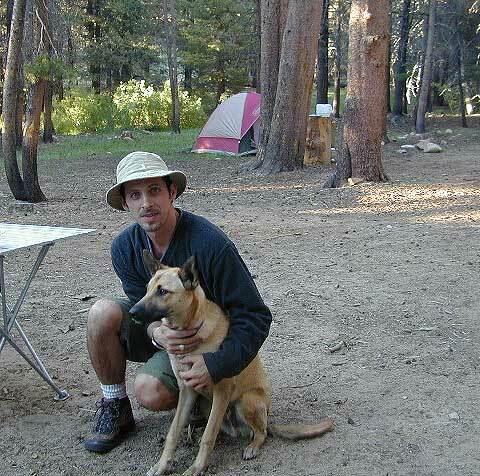 Olancha Peak is a nice day hike, but be prepared with windbreaker jackets. There are so many stream or river side primitive camps around, you will have difficulty deciding on the best one. 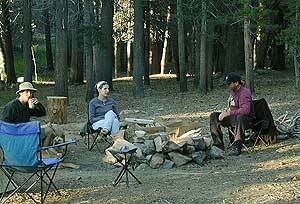 Only a few months to camp & enjoy it ... sometimes the high fire restrictions are placed on this region due to the drier vegetation. Located just north of Kennedy Meadows, it takes a bit of planning, driving, determination, plus a high clearance vehicle to reach this fabulous spot. A Great area for horses ! From Kernville go north along Kern River, cross the Johnsondale bridge, take right on to Sherman's Pass Road / Sherman Pass Rd #22S05. Drive many, many miles up a steep 2-lane mountain road, with amazing view points and forests all over. There is a nicce fire lookout station up here, it could be open to the public, or not. 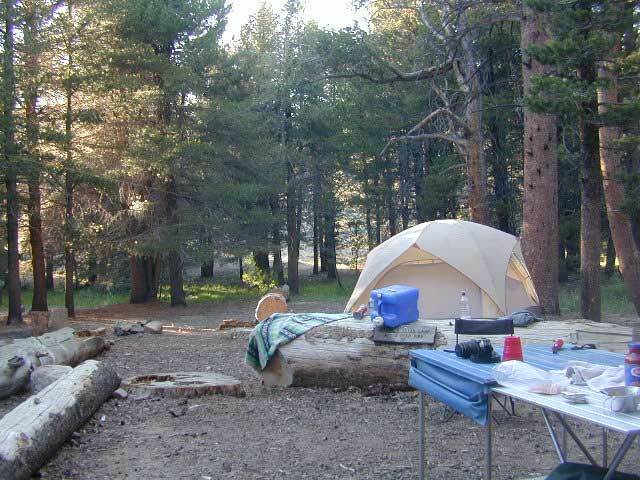 Once you locate Troy Meadow campground & nearby BlackRock Ranger Station. 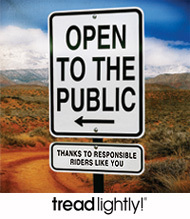 Look for information boards, stop, turn off the car and read them to familiarize yourself with the region. 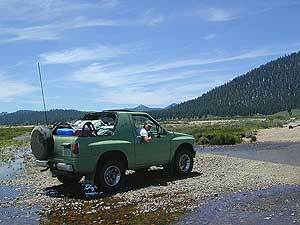 Ask ranger for any needed maps, and current road conditions (for the dirt roads). A day time arrival is key on this destination. Head north into the forest and meadows. A small sign reads 'Jeep Road' for the entrance into the Monache Mdws, which indicates 4x4 might be needed. (and high clearance preferred). 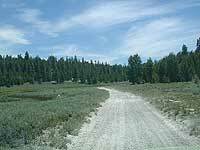 Numerous dirt roads and meadow camp sites around here. Equestrain campers like the meadow areas, quiet side of things. 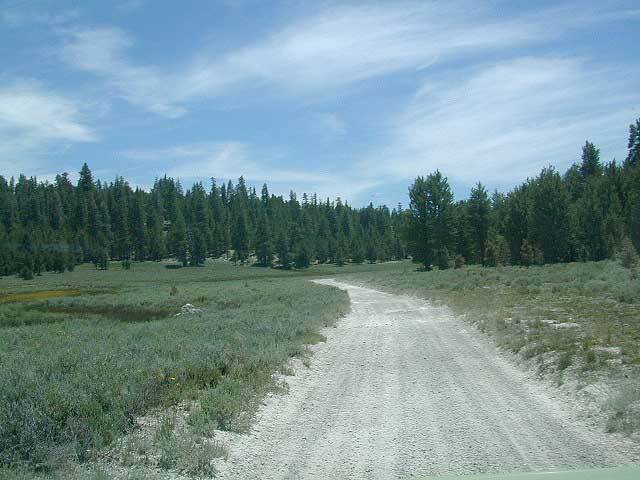 THere are also numerous OHV routes and 4x4 trails fpr those wanting to ca,p well away from the crowds. Forest terrain in the Southern Sierra is often burnt, due to frequent wildfires. Sometimes the conditions are perfect for wildfires. 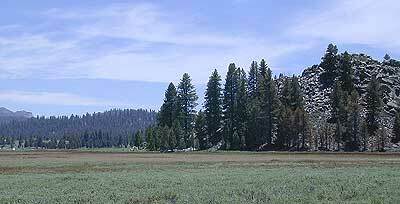 Then it's NO CAMPFIRES at all in the backcountry.